Jute is a natural fiber that is so strong it was once used to make ropes for ships. Our Jute Braided rugs are durable and come in great colors to choose from. We also have a full line of braided accessories to match including braided chairpads, placemats, table runners, coasters and trivets. The jute braids are one of our fastest growing product lines and lots of customers come back for more. April 14, 2019 | Need More! Delivery on this rug was fast! I love everything about it, especially the color! It lends a warm feeling to my farmhouse style home. 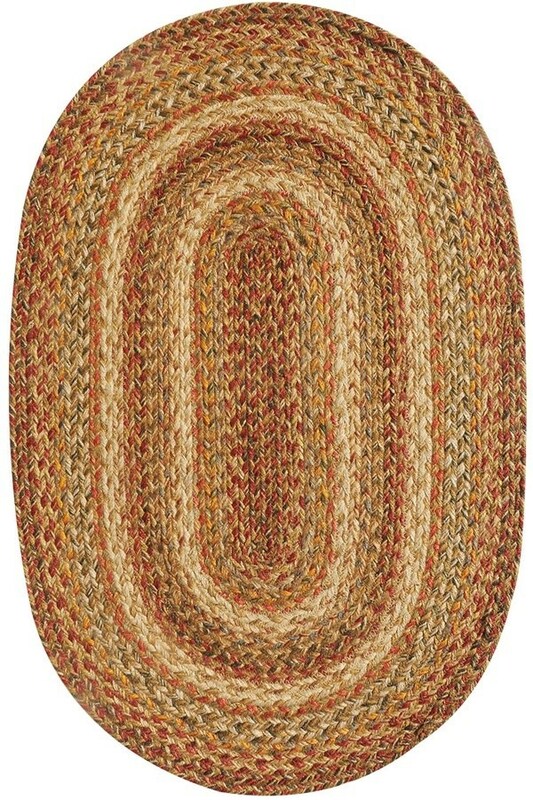 I bought this rug for my kitchen area . The colors are so beautiful. A blend of rust, gold, green and brown. The rug brightens up the area. I just love it! I adore the colors and the quality of my new carpet. The colors match all the colors of my living room. It is just perfect !